The Georgetown University Farmers' Market was founded to improve access and availability of healthy, fresh food on Georgetown's campus. We aim to promote the benefits of local and sustainable agriculture, to support local businesses, to encourage a holistic view of nutrition, and to develop a community engaged in these topics. An on-campus farmers' market means fresh food at your fingertips! Why local produce? It's fresher than the conventional transnational produce found in supermarkets which means it's tastier and more nutritious. We feature a wide range of products, so stop by the market to see what's new! The Farmers' Market is not-for-profit and we try our best to give back to the community. GSP Grocery Stipends: Every year, we donate to the GSP grocery stipends program so that no students go hungry on campus due to financial strain. GREEN's Campus Apiary: Bees are awesome and are also an incredibly important part of the environment. We’re very excited to support the hives on campus! Stop by our table (by the large tree in Red Square) to rent one for free! The Farmers' Market is entirely student-run! 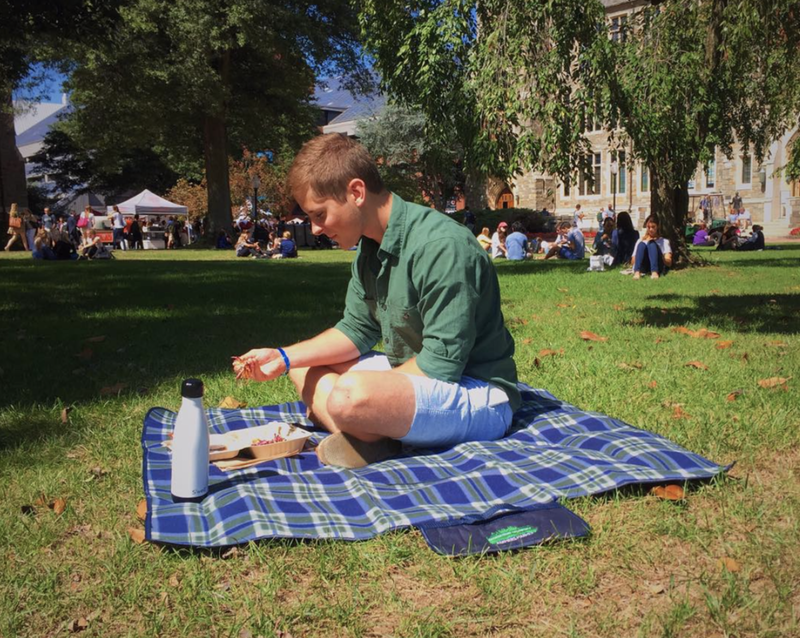 A group of Georgetown University students organizes and orchestrates the market every week. Want to join the board? Applications will be available on our website! Applications for the GU Farmers’ Market Board open in the end of the fall semester.